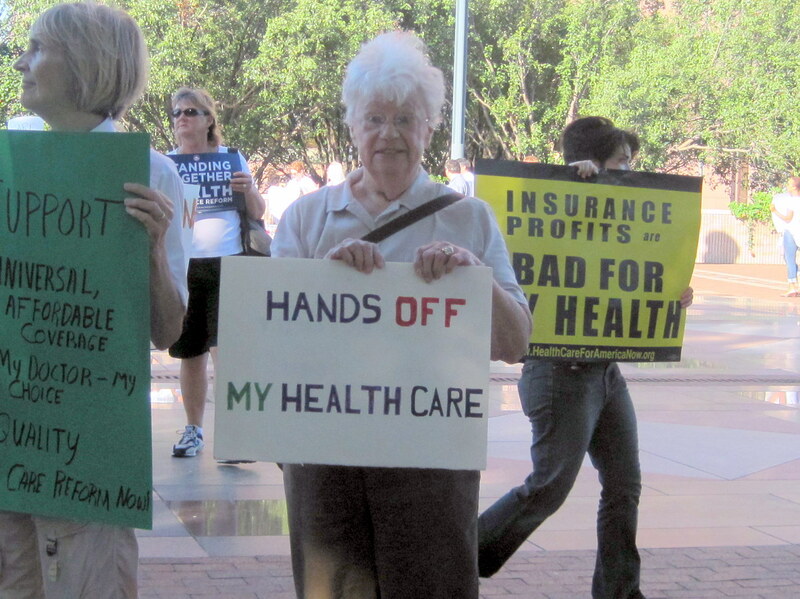 This is Democracy in Action! 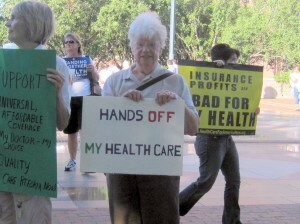 Adorable grandmother, Moni McCaslin, took to the streets to protest health care reform. Agree or disagree, at least we finally have Americans engaged in some sort of dialog. This particular grandmother is mine.